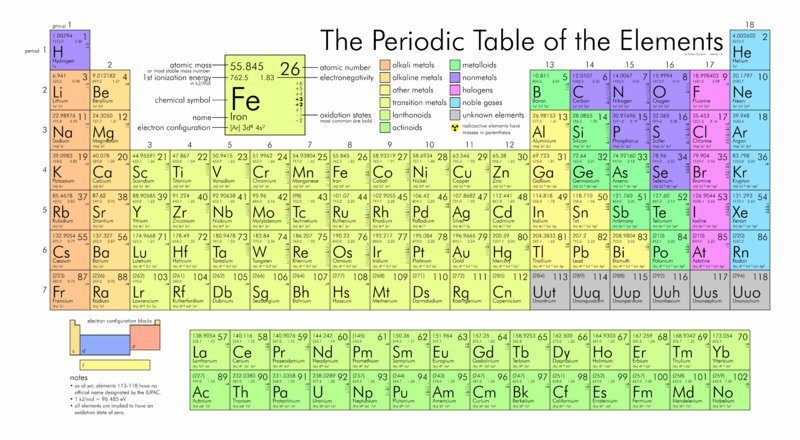 The periodic table may soon gain a new element, physicists at Lund University in Sweden announced Tuesday. A team of Lund researchers is the second to successfully create atoms of element 115. Officials from the International Union of Pure and Applied Chemistry will now review the experiment to determine if Element 115 deserves an official spot on the periodic table of elements. Temporarily named "ununpentium", Element 115 is super heavy and unstable. It was first created in 2003 at the Joint Institute for Nuclear Research in Dubna, Russia, in collaboration with scientists from California's Lawrence Livermore National Laboratory. The initial experiment lasted from July 14 to Aug. 10, 2003, but the scientists spent years preparing for it. On its website, the Lawrence Livermore lab explains the arduous process of discovering a new element. The first step was to produce suitable targets, in this case made of element americium-243, an isotope that has 95 protons and 148 neutrons. Once prepared, the targets are placed inside a cyclotron, where they are blasted with calcium-48 ions, containing 20 protons and 28 neutrons. The collision of the americium-243 and calcium-48 produced element 115. Elements on the periodic table are given atomic numbers based on the number of protons in their nuclei. When researchers synthesized element 115 in the lab, they were able to produce two isotopes, which survived for 30 to 80 milliseconds before starting to decay. Each lost two neutrons, thereby becoming element 113. The element 113 isotopes survived slightly longer before also decaying. The initial four atoms of element 115 were enough to signify a discovery, but not enough to earn it an official spot on the periodic table of elements. However, the successful duplication could be the extra evidence scientists needed. "This was a very successful experiment and is one of the most important in the field in recent years," Dirk Rudolph, a Lund University professor of nuclear physics, said in a statement. If history tells us anything, element 115 could keep its unofficial name for quite awhile. After being discovered in 1974, element 106 was finally given the name seaborgium some 23 years later. More recently, element 114 sat on the periodic table for 14 years before earning the name flerovium. The researchers will publish their findings in the Aug. 27 edition of the journal Physical Review Letters.